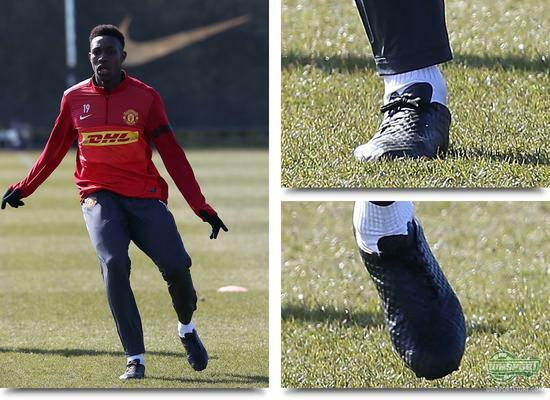 At Friday's Manchester United training there was a particularly interesting boot spot at the feet of Danny Welbeck. 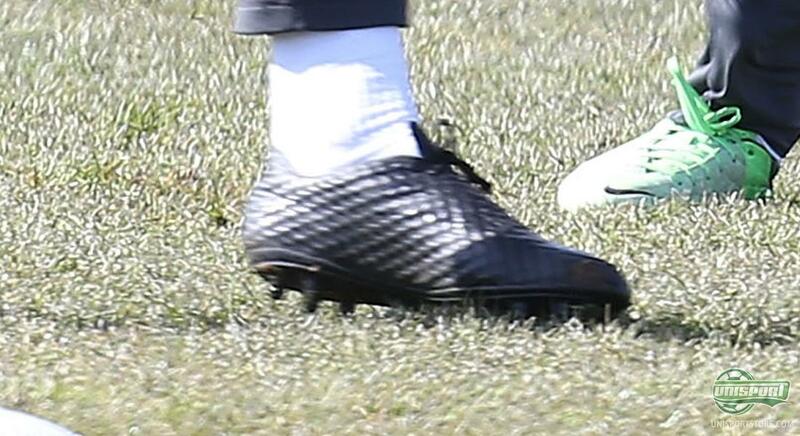 The English striker had a pair of blackouted boots, which rumours say is a forthcoming Nike-boot. We have naturally taken a closer look. The most noticeable part of Welbecks boots is the upper, which at first glance looks covered in a bumpy surface, much like that of a golfball. It also looks like it is a bit sticky and it will be interesting to see, how the surface and material will affect the boots different properties. We have on a previous occasion seen the Brazilian Neymar in both a black- and whiteouted version of the boot, with the same charateristic upper  and with two of Nike's most prolific Mercurial Vapor-players in the mysterious boot things are looking promising. Is there a change on the way for Neymar and Welbeck  and will more jump on the band wagon soon? The new blackouted boots is rumoured to focus on strikers, who primarily use the T90 and Mercurial-boots. It will therefore be interesting to see what strikers like Rooney, Lewandowski end up using. No matter what the case is, it will be very much like Nike to have a couple of mega stars lined up for the new boot. The boot world is alight talking about Welbeck and Neymars boot, but so far the information on the boot is limited. We can however from the pictures see that both the stud-configuration and lacing is quite characteristic,with conical studs and an asymmetrical lacing. The lacing will give a large and clean strike area, perfect for strikers. 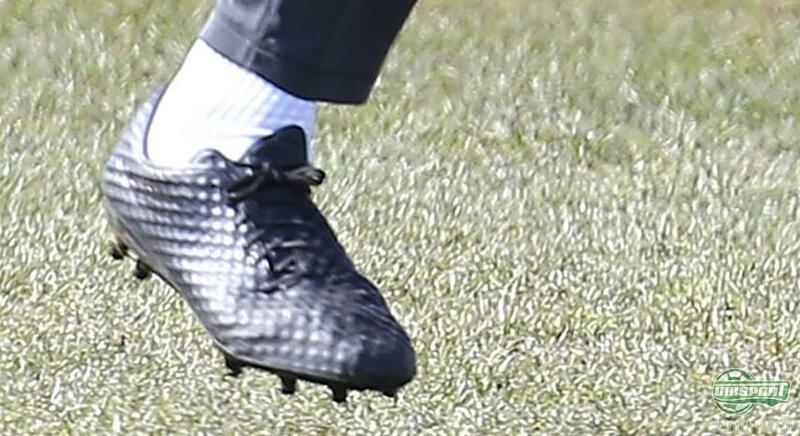 Going closer to Welbecks boot almost leaves us with more questions than answers, but we are sure, that we will hear much more about it in the spring and summer. What do you think Welbeck is testing  and how crazy do you think that upper looks? Feel free to share your thoughts in the box down below.